SMS also supplies the premium quality sublimation ink which perfectly matches with it's sublimation ink and heat press machine. 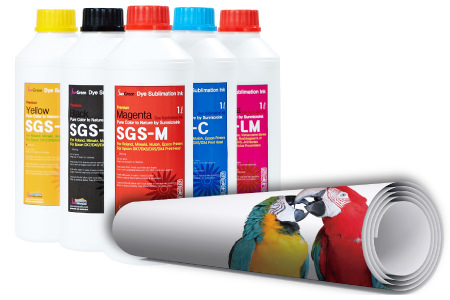 Our sublimation ink is the most purified dye ink through independent purification technology and process. It makes an excellent color expression, especially for black color tone.